Headquartered in Madison IL, Lanter's asset-based coverage spans into the greater Midwest and Southern states. 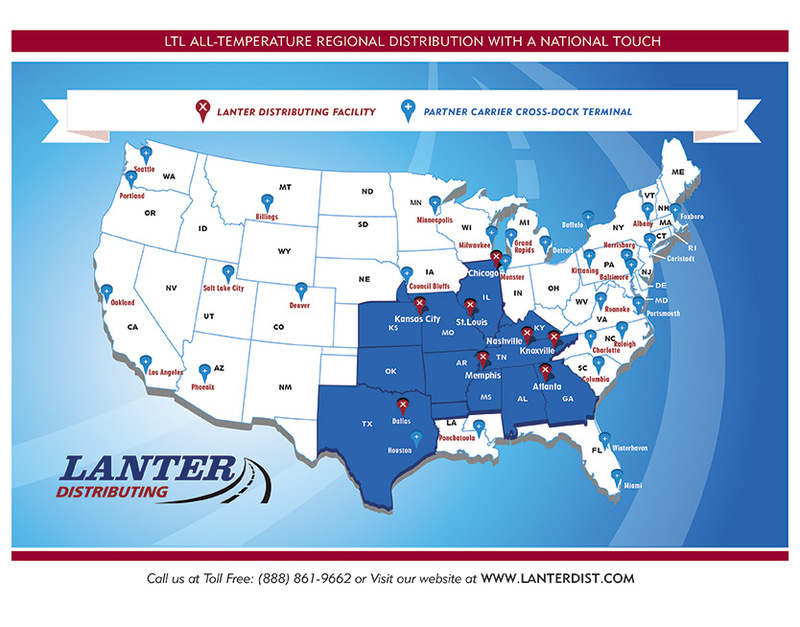 Lanter's service includes LTL distribution, freight consolidation & pool distribution options for multi-temp products. Whether the temperature requirement is temperature controlled, refrigerated or frozen, our multi-temp warehouses and trailers provide the perfect conditions for our clients' needs.